85 years of your life is a long time. If you’ve spent 85 years with the same partner, you can be sure that you have something special together. Today, lasting love can be hard to find. John and Ann were recognised by The Worldwide Marriage Encounter when they broke the record for longest married couple in the USA. Now they’re telling all about their 85-year marriage. John and Ann Betar had their first date when they were 21 and 17 years old. Their love was so strong that they decided to get married shortly afterwards. “They said it wouldn’t last,” John says, and laughs in an interview with The Independent. Today Ann and John are 100 and 104 years old and have been married for 84 years. When their long-lasting love was discovered by the media, people were desperate to find out their tips for making love last a lifetime. So the couple answered relationship questions on Twitter. One of their most popular tips was to avoid arguments. Both John and Ann agree that understanding for each other is essential, which is why you shouldn’t dwell on the small things. “We never hold grudges. Most arguments are about food,” John says. Another piece of advice from the couple was to date someone that you’ve liked from the beginning. They say that if you get on well together and have fun as friends, your love is more likely to last, they say. 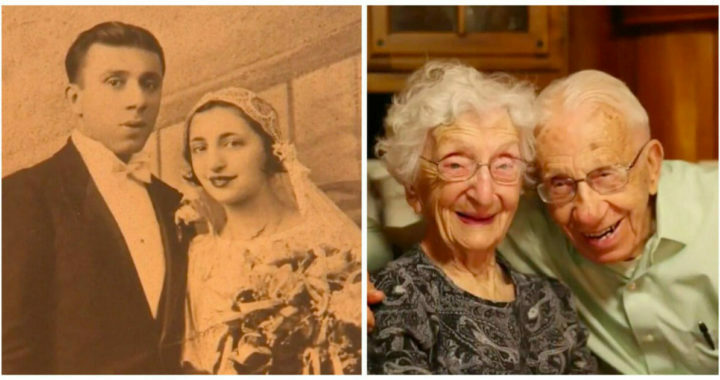 This couple proves that you’re never too old for true love. It gave me hope and made me smile! Don’t forget to share this wonderful story with all your friends.